• THE magnificent Marmaduke Duke released their royally riproaring second album this week. 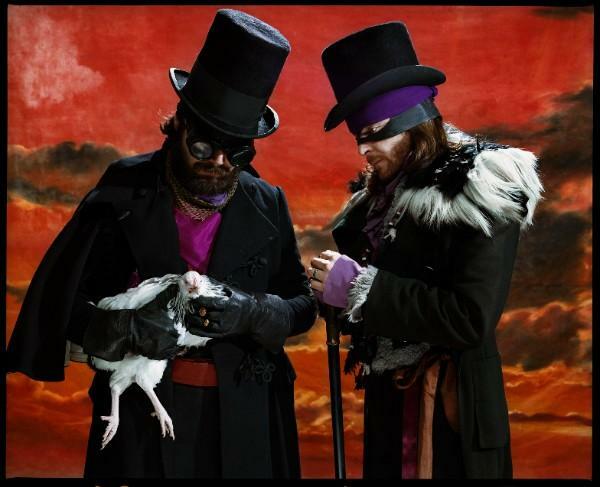 The electronica album, Duke Pandamonium, the second from the duo of Biffy Clyro frontman Simon Neil and Sucioperro’s JP Reid, and contains the bouncy new single Rubber Lover. • Looking for some time-tested laid back dance tracks to soundtrack your summer? Relax, Classic Chilled Ibiza, out on May 18, has it covered. The three-CD compilation album contains tracks by Morcheeba, Bonobo, Leftfield, FC Kahuna, Coldcut, I Monster, William Orbit, Fatboy Slim, Moby, Underworld, Groove Armada and many more. • Irish nu-soul sensation Laura Izibor has a new soul single out this week. Don’t Stay is the second track from her forthcoming album Let the Truth Be Told, which is out on May 18. • Guitarist Tom Brosseau has put out his third album, Posthumous Success – and it’s dead good. The album sees the artist moving from his all-acoustic roots to a fuller sound. • London-based pop duo Honey Ryder released their latest single on Monday. Choices, a string-soaked radio-friendly pop rock track, is a taster for album Rising Up, which is out on May 25. • Warwick, a folk group led by singer-songwriter Keith Warwick, have released an EP. Based On Actual Events is a rich four-track collection sure to whet folk fan’s appetites for a full length release. • The soundtrack to new film The Prodigals, which aims to raise awareness in youngsters about issues such as homelessness, sexual health and drugs, is out now. The compilation features songs by Beverley Knight, Teezy, Ms Jaie and Typpah. • West Midlanders Subkicks have released their debut album Threes, Fives And Sevens this week. The funk-beat influenced indie band’s album contains the single Fatman. • Sunshine-drenched summery soul singer Elviin has put out his first single. The British singer’s single In Colour is the first taster for his debut album, currently being recorded in LA.